... and the following day, taught a workshop, Sugar Mountain, where we put making-do to practice. I L.O.V.E spending the day with quilters. It's a guaranteed fun day talking about all kinds of interesting topics. 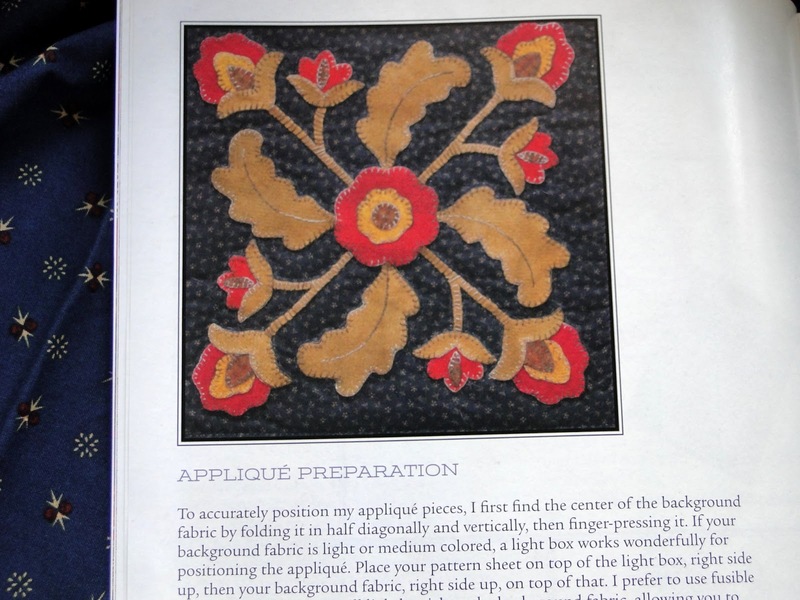 All things piecing and sewing, of course, and cooking, great books, travel, blogs, websites and Apps. The list goes on and on! 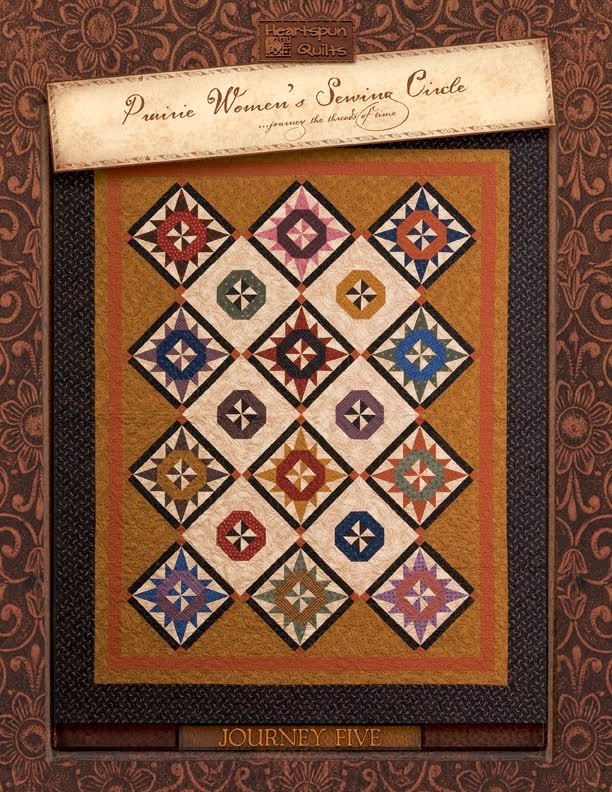 There were about eight Prairie Women in our class that day, and Teresa Gish blew me away with her Prairie Women's Sewing Circle show-n-tell. In the photo above, she is holding Mrs. Olson's Hatbox tablerunner. She brought "just a few" more quilts to show me and I'd like to share them with you. Thank you, Teresa, for sharing all of your wonderful quilts with everyone! Keep up the great work! One of the ladies shared a wonderful "something" with me at the workshop, and I didn't get all the info about it while I was talking and teaching. Figuring I could find it later, I didn't stop what I was doing (didn't want to be rude, ya know!) to get all the info, but what she showed me was on Facebook, and it was a shop finder by AllPeopleQuilt (American Patchwork & Quilting) of all of the shops that have been featured in The Quilt Sampler magazine! It had a map of the US, and you could look anywhere on the map and it would tell you what Top Shops were in the area. The map of my dreams! Does anyone know what I'm describing? 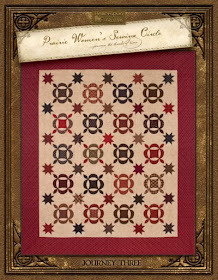 I did a Facebook and web search, went to allpeoplequilt.com, and still didn't find exactly what she showed me. If you find it, please share with me and I'll share with everyone else!! One of the many pleasures of writing a blog are the friends you make with your readers. There are wonderful, talented and kind people all over the US, and around the world who drop me a note every now and then. Raewyn is one of those people. She lives in New Zealand and has a blog of her own. She sent me an email this morning with a link to her blog, and I think you'll really enjoy her post. 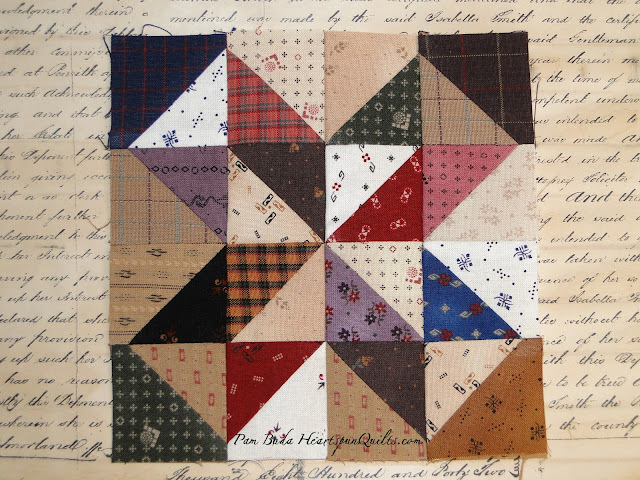 She invited several quilting friends to a challenge using one of the blocks from my Orphans & Scraps Pocket Patchwork Sew~Along. 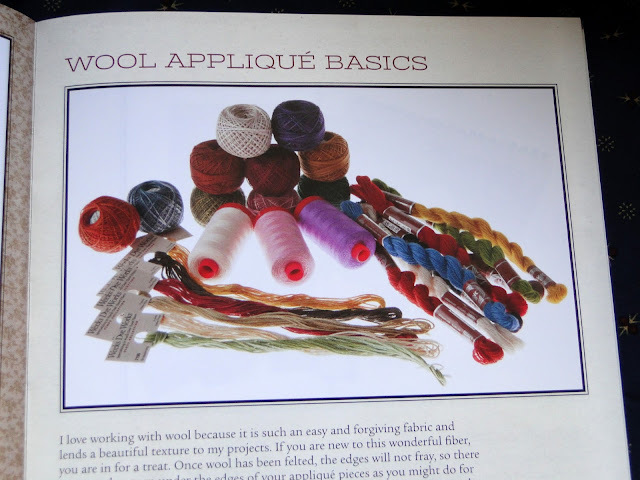 Take a look at Raewyn's blog...I know you'll enjoy it! 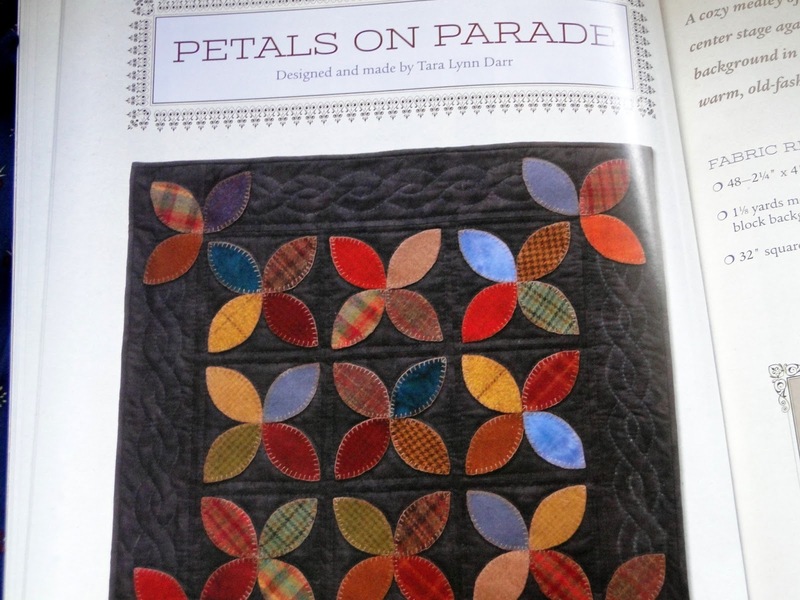 Today, I'm packing up the car for a trip to what I call (tongue in cheek, of course) the "holy land" of quilting. I'll be shop hopping my way to WI where my pal, Tara Lynn Darr of Sew Unique Creations and I will nest ourselves for three days of sewing!! Follow us on Facebook for pics and news from all the places we'll be stopping, and perhaps get a sneak peek at what we're working on. 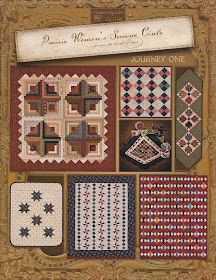 Come back on Friday for another block in my Nabby's Dowry Sew-Along!! It's Friday again and time for another block. Sew together into rows; press in opposite directions for opposing seams, or press seams open. Sew rows together and press. Your block should measure 6 1/2" unfinished. All done for another week....see you next Friday! 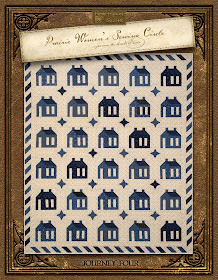 Announcing My New American Gothic Fabric Collection! 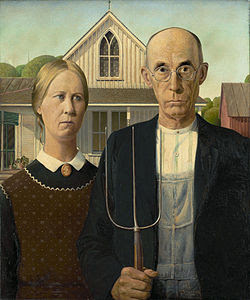 I was inspired by this lovely couple in Grant Wood's iconic painting, American Gothic. 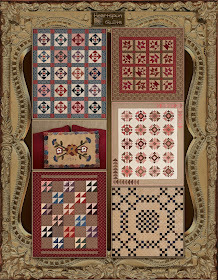 Last year, I named a pattern after this painting after researching about it, and learning that Mr. Wood was inspired by early American life in the nineteenth century. The couple, their home, clothes and details in the painting depict life in the 1800's. 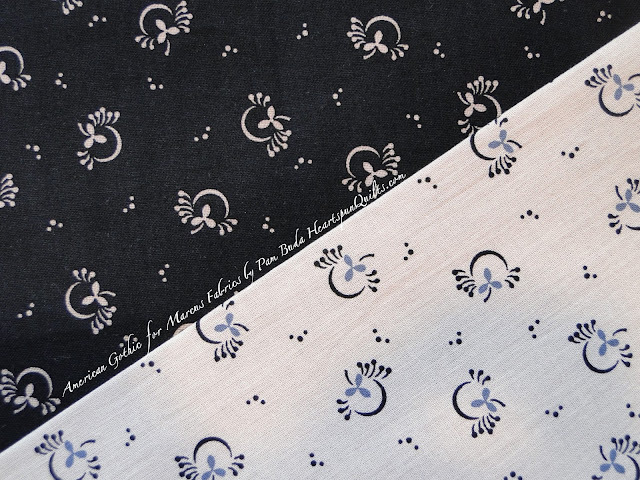 Creativity often takes crazy routes to a final destination, and that's what happened with this lovely collection of black fabrics. But that's another story! 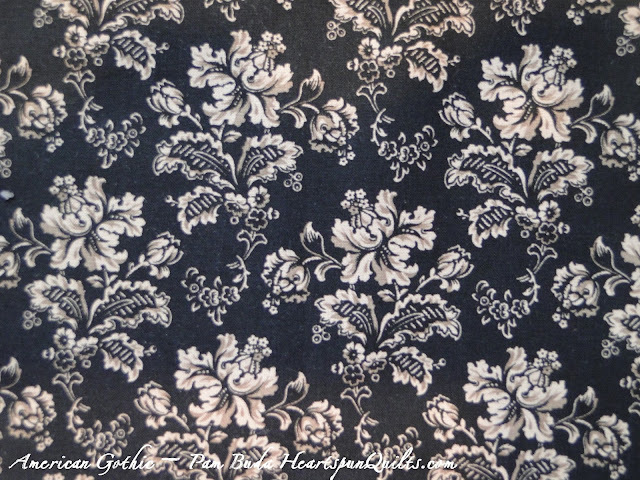 My new American Gothic fabrics are a collection of blacks and yummy creams. There are eighteen new prints in the collection, and I'm lovin' every one of them. Would you like a sneak peek?? I'll let the pictures do the talking for me. As always, Marcus did a beautiful job with these goods. The fabrics they produce are exceptional quality, and the colors are divine! Please excuse my poor photography on some of the prints as the photos never do the actual fabrics justice. And...the prints look much larger than they really are...again...blame the photographer! 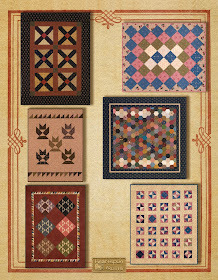 Your favorite quilt shop owners will begin to see American Gothic in August, and I'm not certain just yet when it will be shipped to your LQS, but I'll keep you posted on that. 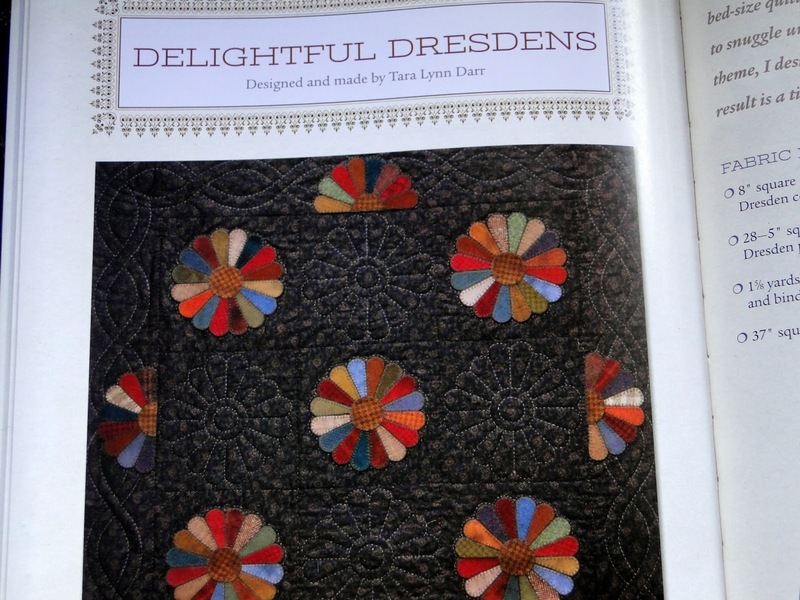 My sample yardage should arrive any day now, and I can hardly wait to begin to piece with it. 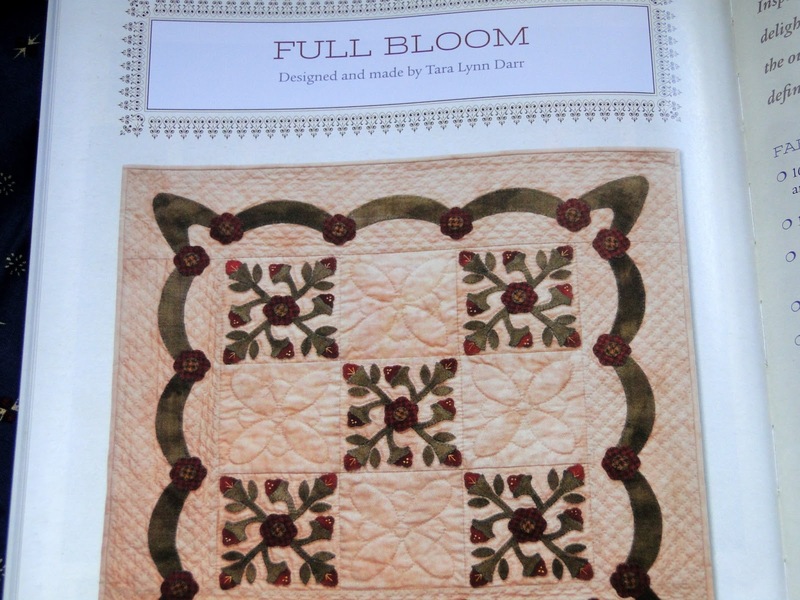 I have a new pattern all designed so I'll be ready to get sewing when it arrives. I adore black fabric and put it into just about all of my quilts. It sets off the other colors so well. Oh, heck...I just love it all by itself! I hope you like my American Gothic prints!! 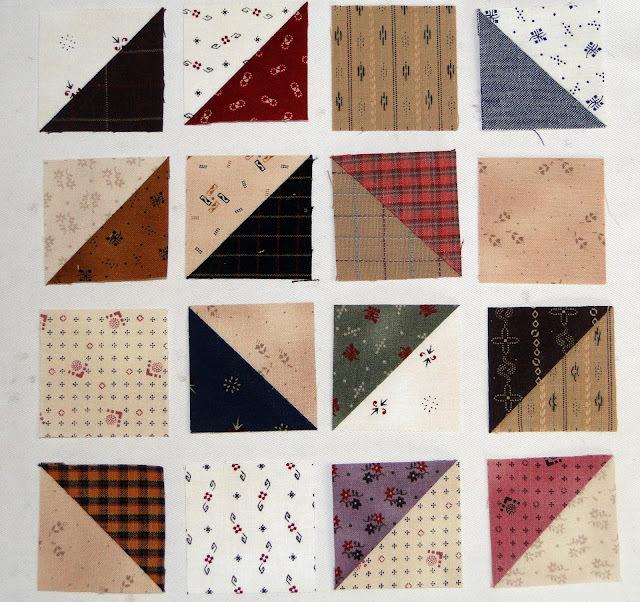 Sew them into rows; press in opposite directions for opposing seams. Sew the rows together; press. You block should measure 6 1/2" unfinished. Another simple block....more to come, so I'll see you next Friday. I love Fridays! 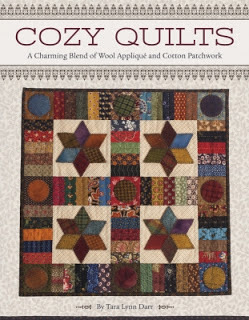 Several weeks ago, I mentioned that my friend, Tara Darr's new book, Cozy Quilts, and now it has made its debut! Well....last week, I finally got my copy (I've been just a little anxious! ), and thought I'd share some of the goodies I'm jazzed about. Tara most certainly has a gift for this! 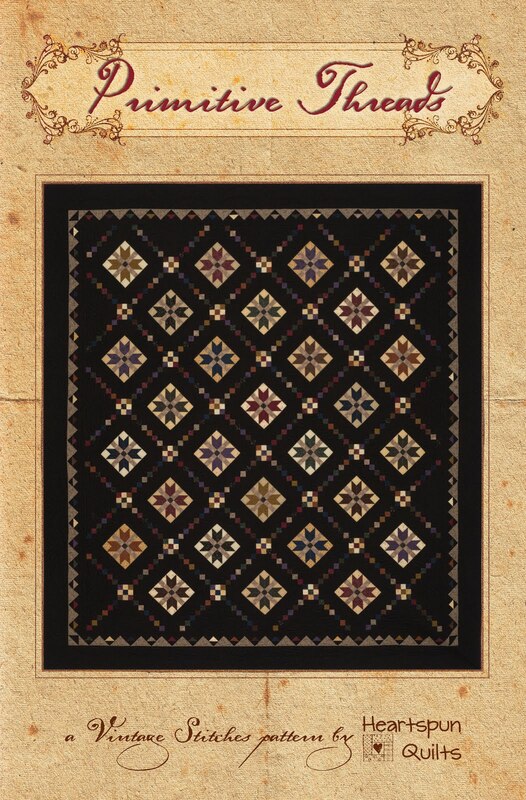 While I love all the quilts in the book, I guess I'm partial to those with the black background. It really makes those colors pop! Along with her tried and true hints and tips! Love the book as much as I do? Click here to order! 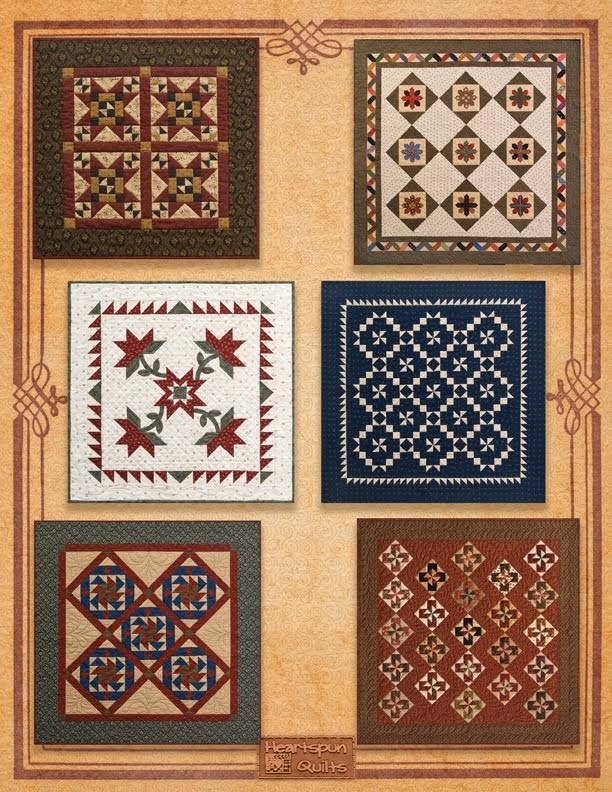 I'll be visiting the Kokomo Piecemakers Quilt Guild in Kokomo, IN next week! 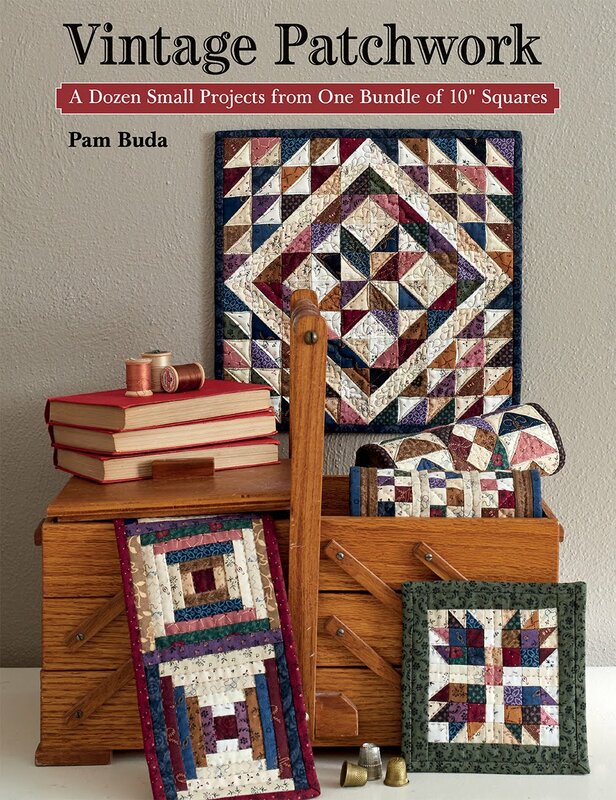 If you'd like to attend, on Tuesday, July 23rd, I'll be giving my lecture, Making-Do: Honoring Our American Quilting Heritage. The meeting, held at UAW 685 Chrysler Union Hall, located at 929 E. Hoffer St., in Kokomo begins at 7pm. 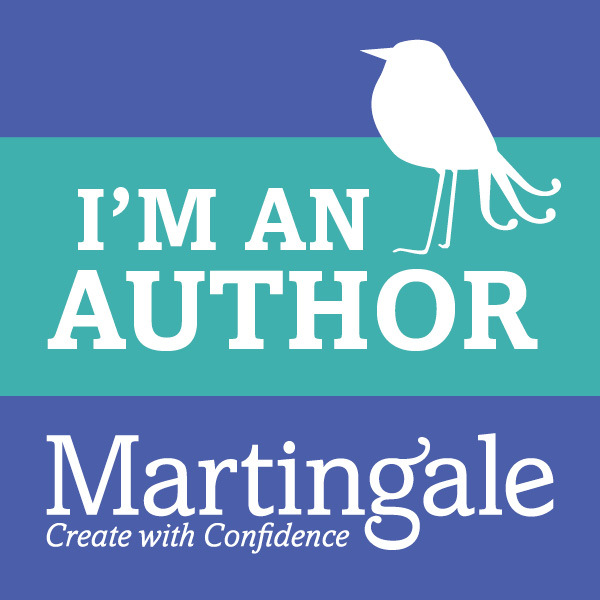 There are just two more spots open for my workshop, Sugar Mountain, and you don't have to be a guild member to attend! If you're interested, please email Cheryl at cgarner2845@comcast.net for information. Did you know I vend at guild shows? If you're in the area, we'd love to see you! Don't forget....next month I'll be teaching at The Buggy Barn's big event in Reardon, WA!! The dates I'll be there are August 20 & 21st. Click here for all the details about Buggy Barn's Outdoor Quilt Show and Folk Art Sale. The news is wonderful about our upcoming Great Girlfriend Get-Away to St. Augustine!! 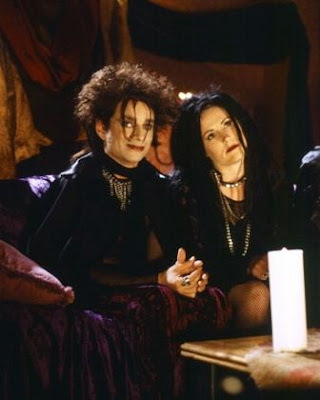 Lynne and I are sooo jazzed to have so many of you joining us!! We can hardly wait. However...if you're thinking about coming, you shouldn't wait to sign up!!! Did you know you DO NOT have to pay any money until September 20th?? 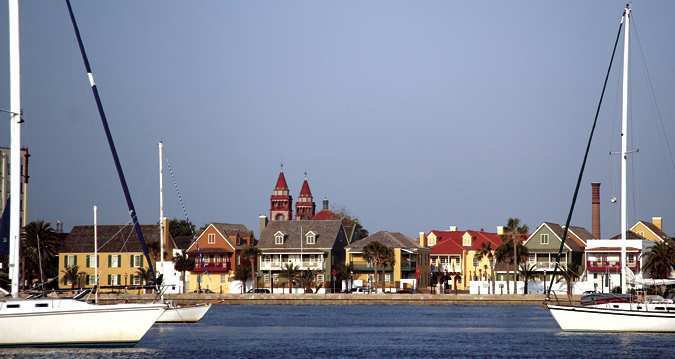 If you're considering joining the fun with us in St. Augustine...please don't wait to get your name on the list!! Space is filling, and I know many people who are thinking about coming. Call our lovely retreat coordinator, Bunny, today, and add your name...and while you're at it...add a few girlfriends, too!! Click here to see all the details about our trip to historic St. Augustine, FL this January. 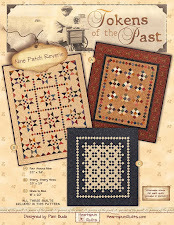 See you Friday morning for our next Nabby's Dowry Sew~Along block!! 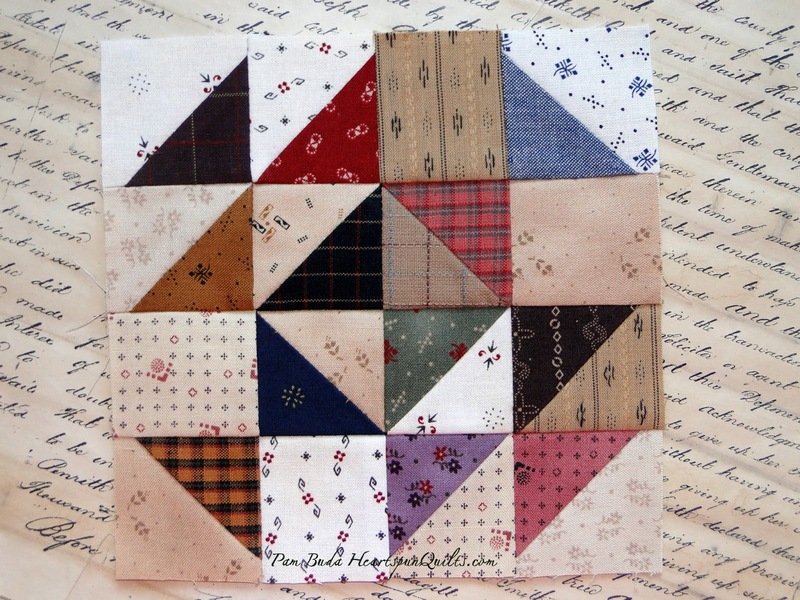 Now that you've made lots of Half Square Triangles, we're ready to begin sewing blocks! Yay! As I said before, this quilt is ultra scrappy. 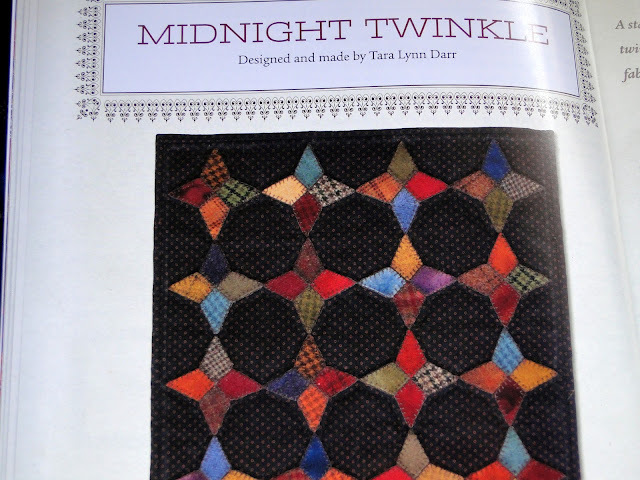 If you're making your quilt from the fabric kit, don't worry about matching your HST fabrics to mine! It won't matter at all in the finished quilt. 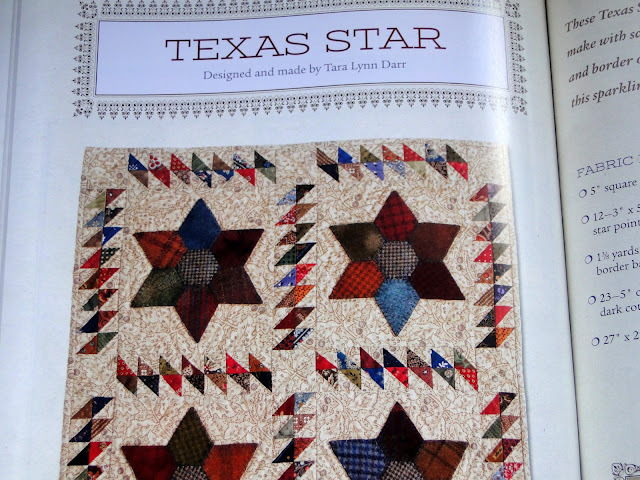 I could just as easily picked up a different bunch of fabric combinations or HST's for this block. Trust me...just have fun and play! Arrange (16) HST exactly as shown. 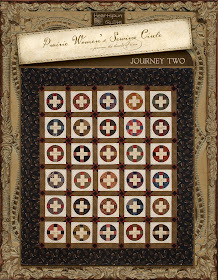 Sew together in rows; press for opposing seams or press seams open. Sew rows together; press. Your block should measure 6 1/2" unfinished. All done for now..... See you next Friday! 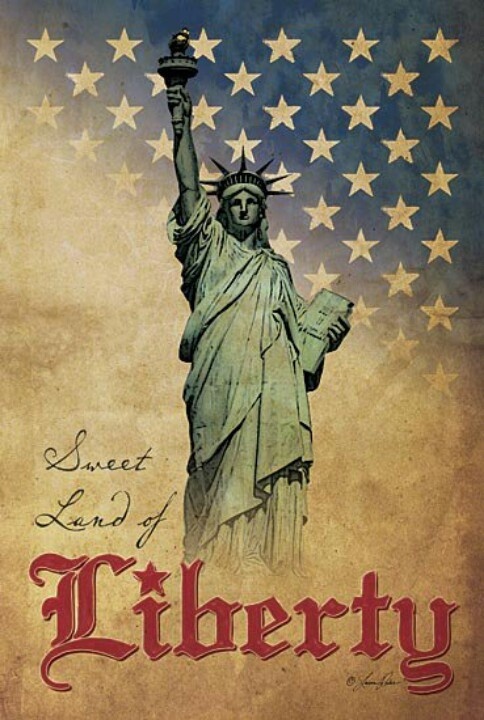 My hubby and I took a little trip to Las Vegas over the Fourth of July holiday. It was nice to get away just to play and relax, but always so good to come home. It seems there's always so much computer work or paper work to do....you, too? It hard to find some time to sew, and I miss it terribly. So, I'm trying to set aside time everyday, even if it's just a half hour. I do some of my best thinking while pushing pieces thru the machine. The labeled fabrics above are for another Journey Five project. 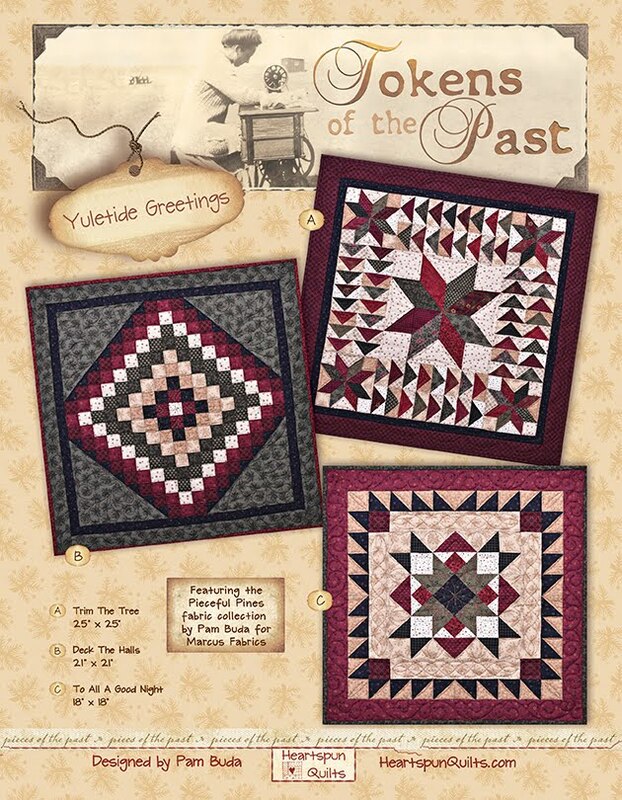 Deb is also piecing one, which marks the last of the six Journey Five projects. Once these are completed, only the bonus project remains, and that project has been occupying my thoughts for more than 6 months. I know it will be decision time very soon! Have you been keeping up with all the news coming from my friend, Gloria Parsons (Olde Green Cupboard Designs)? If you haven't, you really need to know because she's got a whole lot of FUN stuff going on!! You may remember that Lynne and I went to see Gloria last January in Florida at Camp Blanding. 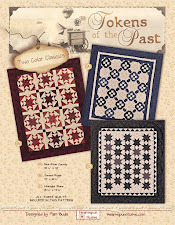 Well....Gloria, and her twin sister, Vicky, are new designers for Marcus Fabrics! 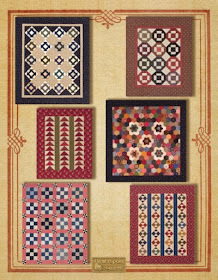 Their first fabric line, Londonderry Garden, is coming out soon, and they have been playing with their sample yardage, creating all kinds of new and wonderful goodies with it. You can see what they've been up to on their blog. 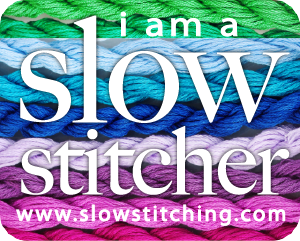 They also launched a new website, and are teaching on a quilting cruise next June. Do yourself a favor and spend some time getting to know Gloria and Vicky....they inspire me every day!! 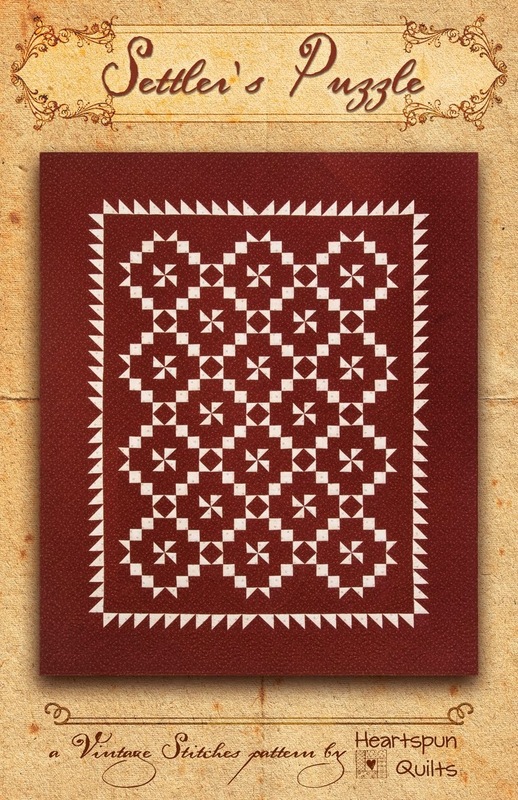 Have you been working on making your Half Square Triangles for the sew-along? I know it's a lot of them, but remember, after this step, you'll be assembling blocks from here out. The first block will post on Friday morning!